HomeInsightsBlogPodcastsMEA Pulse Podcast Episode 3: What are the economic development prospects for Mozambique? MEA Pulse Podcast Episode 3: What are the economic development prospects for Mozambique? Each episode MEA Pulse brings you on a journey to learn about the Middle East and Africa regional economy and business trends with a featured country pertinent to the topic. 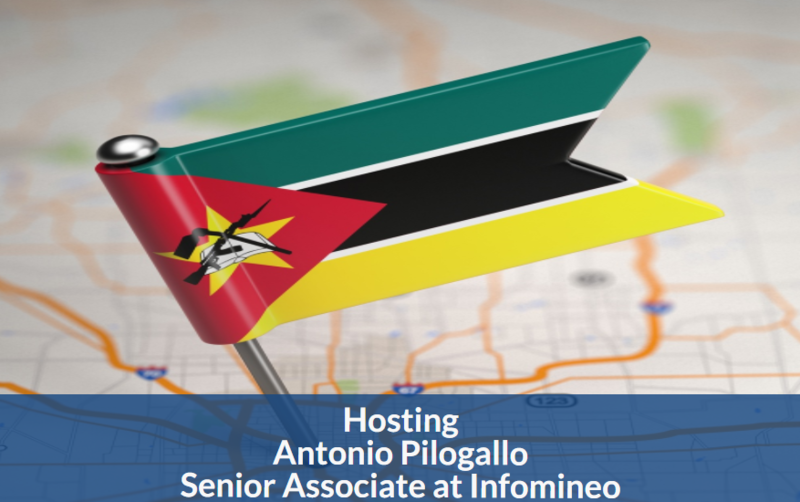 Hosting Antonio Pilogallo from Infomineo’s Casablanca office, MEA Pulse Episode 3 is a discussion on the current state of Mozambique and the strategies that are currently in place to promote economical growth and development within the country. Tune in to gain more insights on what sectors are attracting foreign investors and what are the ongoing development projects within the country. Cut to the chase by clicking on the MEA Pulse icons in the comment section to listen directly to the section that you are most interested in, or you can simply click on any of the following sections. Become a MEA Pulse Follower! To keep up with future episodes, don’t forget to follow MEA Pulse on Soundcloud!